With platinum blonde hair and a badass grunge style, this lead singer looks all too familiar. Yes it’s Debby Ryan from the hit Disney shows Jessie and Suite Life on Deck, now rocking the stage in her new indie rock and folk band, The Never Ending. Who would’ve known everyone’s favourite television nanny is living a double life as a rock singer, she’s basically a real life, cooler version, of Hannah Montana. Currently touring with Fifth Harmony, these guys were actually formed back in 2012 and began making their existence public in 2013. 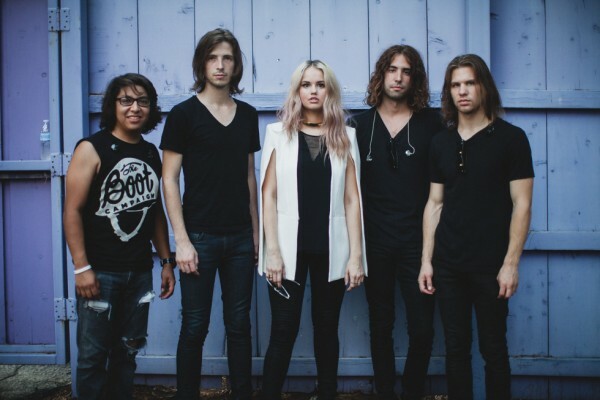 The band had officially announced their formation and future plans in a YouTube clip in which lead singer Debby Ryan had stated “I want you to meet the people I tell stories with. To me, telling these stories with these people is the most important part of the process. We get to do something that will live on after us. We get to do something never ending.” And telling a story is exactly what these guys did, having released their first single, “Mulholland Drive” in early June 2014, and their debut EP, One, shortly after. 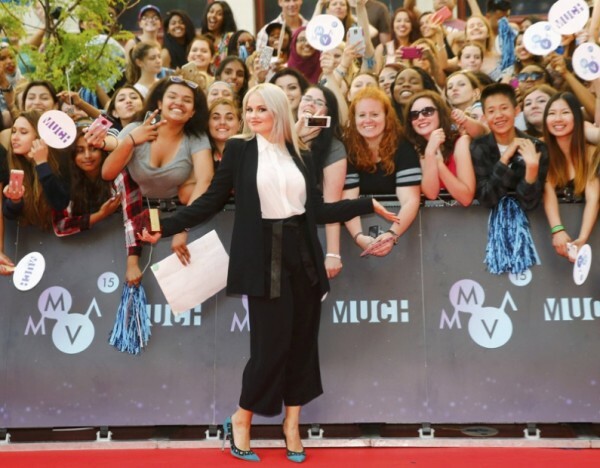 The Never Ending made their debut appearance at this year’s MMVAs and Faze caught up with them for a short chat. Check it out! Debby: I never really wanted to be that actor that turned into a singer cliché, so I would write songs and they would get produced and I started loving it. My brother was like “I don’t like you living alone, so if you had to live with someone, I would want you to live with Johnny” who is like my brother. We ended up living together and one day we were having a session and Johnny looks at me and says “we should start a band” and then we met Kyle, and he just swept us away with his incredible hair. It kind of just happened so organically. When the band was put together it finally felt like I was telling my own stories for the first time. I have been acting for so long and I began to feel like I had something to say and I found the perfect place to do exactly that. What can we expect from you in the future in respects to your acting career? Debby: What’s really cool is that I’m a little bit spoiled to be able to write and co-write because I am telling my own stories. I’ve always done projects that I believed in a lot like Jessie, being able to produce that and hire a cast and the crew and having really created my voice. It was also my directorial debut, the more episodes I directed, and the more I believed in having a holistic vision and being able to work with incredibly talented people. So what I want to do moving forward, on the acting side, is that I want to develop. I am currently developing two different projects right now. I’m sitting on one project for television and I’m not in any rush because the band is on tour this summer. Debby: What’s great is that everyone in the world was born with a heart that feels certain things louder than others. There are people who care so much about animals and want to fight and advocate for that. There are people who care about the earth, recycling and going green. Ultimately my advice for young people would be don’t be afraid because anyone that ever did anything that changed anything, did something that had never been done before. You have to be really proud of yourself for knowing that this is the thing that you care about and this is the thing that is important to you and even if you’ve made yourself the best version of what you can be, you’ve still done an amazing thing. It’s just about validating that. That’s why we named the band The Never Ending because we wanted to do something bigger than ourselves. Johnny: Something I like to live by is the power of one. Sometimes you feel that to change an entire generation or the world, you have to do something huge but doing something one at a time can be so effective, like inspiring just one person or doing something that could make a small difference, it just catches on. One of the things that we like to do is to speak to people, believe in them more than they believe in themselves.